There’s nothing worse than your baby having a “milk-down” when you’re in a public place and you can’t do anything about it! The good news are, with the award-winning 2in1 baby bottle iiamo go and an iiamo warm heating cartridge you’re only 4 minutes away from a warm bottle of milk. Apart from being a conventional baby feeding bottle it also comes with an extra self-heating functionality. That gives you the freedom to warm a bottle of formula-, pre-mixed- or breast milk wherever and whenever! See also our attractive iiamo go offers: STARTER SET and ECONOMY PACK. 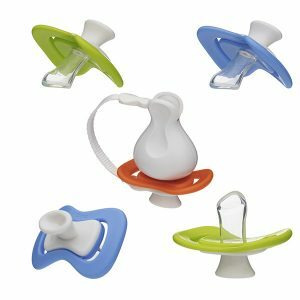 With this baby bottle set you get the iiamo drink drinking spout together with your iiamo home baby bottle for only 1,95 Euro extra. With iiamo drink you can turn the baby bottle into a sports- or kindergarten bottle and use it for many years to come. iiamo home baby bottles come in 4 happy designs, with an anti-colic teat (size 0m+) and an easy-to-clean-and-dry capability. 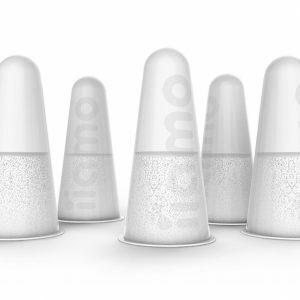 iiamo home is our conventional baby bottle for home use. 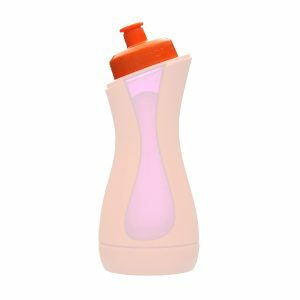 You’ll recognize the shape and colours from the iiamo go bottles and you can even say, that it’s the same bottle – just without the heating chamber. Same happy design, same anti-colic teat and same easy-to-clean-and-dry capability. See also our attractive iiamo home offer: GROWING UP SET including the iiamo home baby drinking bottle and an iiamo drink spout. 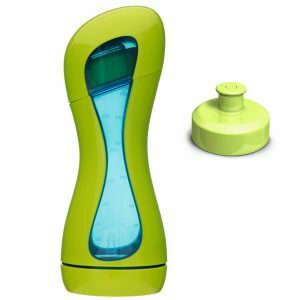 1 drinking spout iiamo drink, so you can turn your baby bottle into a drinking bottle for sports or kindergarten. iiamo’s awarded heating functionality warms baby’s milk within 4 minutes – using only salt and water. That’s sustainable energy! Each iiamo baby bottle has a built-in anti-colic ventilation system, so the risk of baby colic is minimized. 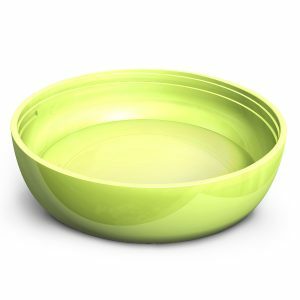 Save 6,85 € with the set! With the iiamo go economypack you will be prepared for all your outdoor acitivities. FREE GIFT: 1 iiamo string will be added to your oder for free! a drinking spout iiamo drink, so you can turn your baby bottle into a drinking bottle for sports or kindergarten. Save 5,85 € with the iiamo economypack! The patented iiamo warm heating cartridge is the heart of the self-heating baby bottle iiamo go. Inserted into the baby feeding bottle it creates heat enough to warm the formula or breast milk from room- to feeding-temperature. It takes only 4 minutes and without any cords or recharging. With this package you will get 5 pieces of iiamo warm. The silicone teat iiamo flow fits perfectly on an iiamo go or iiamo home baby bottle. 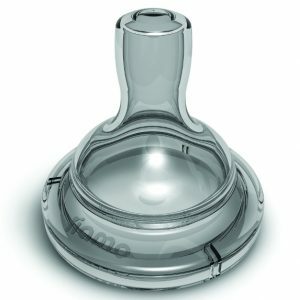 iiamo flow teats have an integrated anti-colic ventilation system. One box contains 3 teats. The silicone teats iiamo flow fit perfectly on all iiamo baby drinking bottles: iiamo go and iiamo home baby bottle. This discount pack contains 9 teats in total: 3 of each size from newborns (0m+) over babies (3m+) to toddlers (6m+). The iiamo flow teats have an integrated anti-colic ventilation system. Save 14,95 € with this teat discount pack! Our soother iiamo peace could be your favourite for your newborn baby up to 6 months or for your toddler (size 6m+). The special air ventilation shape is good for breathing and prevents rashes around your baby’s mouth.The material is 100% pure silicone. 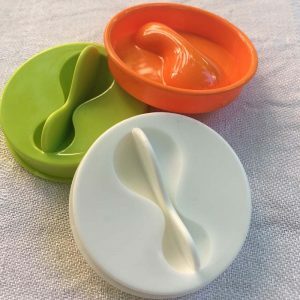 Especially attractive are the two promotion sets: The soother pack 2+1 (pay for 2 and get another one for free) or the soother pack with iiamo string for FREE! PROMOTION FREE GIFT: 1 iiamo string will be added to your oder for free! This set includes the clever soother holder and -cap, iiamo string as well as an iiamo peace dummy in the size 0m+. The cap of the soother holder also works as a dirt-protector when the soother takes a break in mum’s bag. You may also like our soother promotion pack with an iiamo string for FREE! and the pacifier-set iiamo string including one iiamo peace soother in size 0+ and a pacifier-box. Within the cute box, the pacifier wil wait safely for its next use. Save now 9,95 € with your special soother-combination pack! No more stress when one of your pacifiers can’t be found! With the iiamo pacifier package, one of your soothers is always at hand. 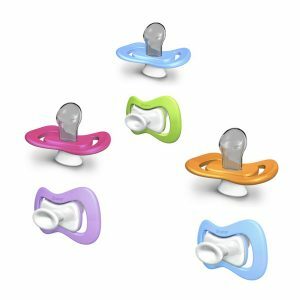 Pay for 2 double packs and get one additional pack for free (a total of 6 pacifiers in 2 different colors)! iiamo drink is the practical drinking spout for your iiamo go or iiamo home baby bottles. Re-used as a sports bottles they can serve you child as his all time favorite drinking bottles for kindergarten or sports. 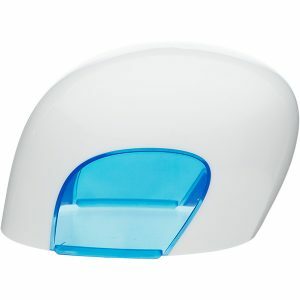 spare part: cap for an iiamo home or iiamo go Baby bottle. Sparepart: iiamo more, flat bottom, fits all iiamo baby bottles. Sparepart: Sealing disc for the self-heating iiamo go baby drinking bottle. PayPal, credit card or prepayment.